Taught by a Nutritionist and an Ayurvedic Practitioner, this online extension-learning package consists of two online lectures—’Preconception, Pregnancy and Postpartum Nutrition’ and ‘Ayurveda for Pregnancy and Birth‘. Along with these informative and inspiring lectures the course includes detailed written notes, and aims to deepen your understanding of how nutrition, as well as an understanding of a woman’s constitutional ‘type’, from both the holistic western and eastern perspectives, can support women on the journey to motherhood. 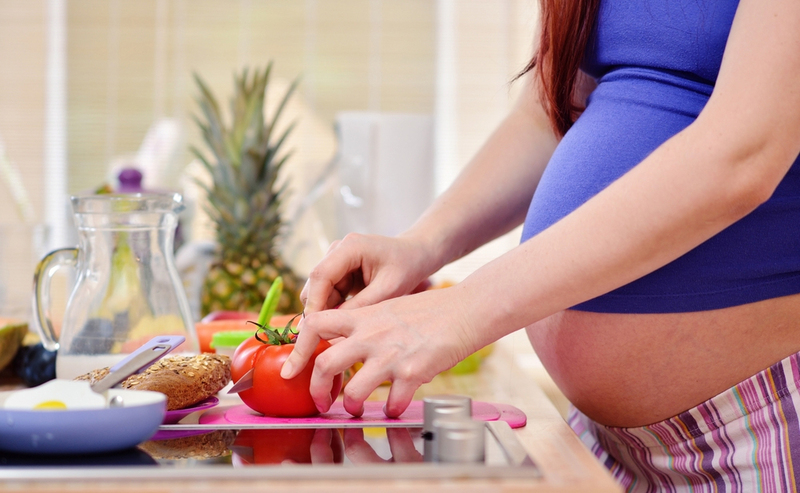 Nutritionist and yoga teacher Kaye Waterhouse offers a wealth of information on how the right kind of nutrition can support women throughout the journey of preconception, during pregnancy, and into new motherhood. In Emma Grant’s online lecture you will gain a fascinating insight into how an understanding of Ayurveda, the ancient sister-science to yoga, can support women during their pregnancy, during labour and into motherhood. Senior Bliss Baby Yoga Facilitator and Ayurvedic Practitioner Emma Grant has a talent for simplifying and demystifying the principles of Ayurveda and adapting them to the unique needs of pregnant and birthing women. Dietary measures and natural health tools (including yoga) to balance an excess in each of the three ‘doshas’ and 5 elements. After joining this online lecture, choc-full of simple, yet profound wisdom, you will undoubtedly experience some ‘aha’ moments about your own personality and health, whether you are pregnant or not. For prenatal yoga teachers, you will receive a deeper understanding of how the natural health modality of Ayurveda can support your pregnant students in their daily lives, in your prenatal yoga classes, and even in the birthing room. There are comprehensive notes accompanying this session as well as a handy (and enlightening!) questionnaire to determine your own unique ‘dosha’, or Ayurvedic constitution, including any health imbalances you may have developed. Accompanying detailed notes including a special Dosha Questionnaire (determine what your unique Ayurvedic ‘dosha’ or constitution is). 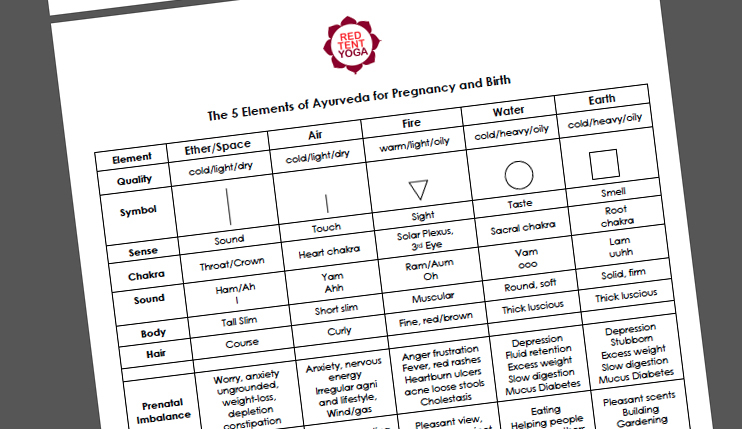 Our Perinatal Nutrition and Ayurveda Extension Module is easy to navigate—it’s all clearly laid out and you don’t have to be a ‘techy’ person to figure it out! This extension module consists of 2 modules with a short quiz after each module. The quizzes are designed to help you consolidate the knowledge we share with you. An 80% pass mark is required, but don’t worry, the questions are multiple choice/ true-false and you can re-do it as many times as you need to. Once you’ve reviewed all the content and passed the quizzes, you just need to give us your feedback (your feedback is sooo important to us!) and then you’ll receive your Completion Certificate that you can either print out or keep digitally to send to registration bodies (eg: Yoga Alliance / Yoga Australia) to gain all-important CPD (Continuing Professional Development Points). The hours on your Completion Certificate for which you’ll be able claim CPDs are 5 hours. For Yoga Australia members, 12 CPD points (Continuing Professional Development) must be accrued each year to keep your membership active. These can be accrued through contact or non-contact hours of study. Our Online Perinatal Nutrition & Ayurveda Extension Module is non-contact study, however as our course includes an assessment component (online quizzes), for Yoga Australia members (as per their Continuing Education Policy) the hours spent completing our course are counted as contact hours, ‘related’ to yoga teaching (1 point per 2 hours of training). This Online Extension Module is 5 hours, so Yoga Australia members will accrue 2.5 CPD points. Our Online Perinatal Nutrition & Ayurveda Extension Module (5 non-contact hours) can therefore cover 5 of the 20 non-contact hours of study and contribute to these CPD requirements. This module offers valuable professional development for already qualified prenatal, fertility and postnatal yoga teachers, helping deepen your background knowledge to better support your students. It is also suitable for pregnant women, or those wishing to conceive, offering a rich array of tips and inspiration on how the right kind of healthy, balanced diet along with an understanding of the principles of Ayurveda can support your health and wellbeing during your pregnancy and can also prepare you for birth and motherhood. This module is also an ideal complement to the Bliss Baby Yoga Online Complete (Prenatal & Postnatal) Yoga Course or the Online Yoga for Fertility Course as it extends upon the information covered within these courses. And it may also be of benefit to women’s health workers in related fields—eg: midwives, doulas, physiotherapists, massage therapists.. Note, you do not need any prior knowledge of Ayurveda to undertake this course. 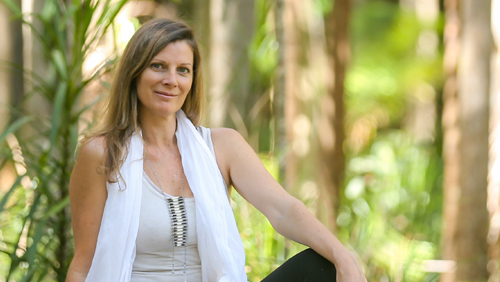 Kaye Waterhouse is a passionate Nutritionist, Wellness Coach, Writer, Yoga Teacher and Studio Director & Owner of Vital Beat Yoga in Perth WA, and Mama of one. Emma Grant has been practicing yoga since 1996 and teaching since 2001. She has trained and studied with Swami Satchidananda of Integral Yoga in the U.S., Pattahbi Jois of Ashtanga Vinyasa Yoga and Desikachar, son of Krishnamacharya in India. 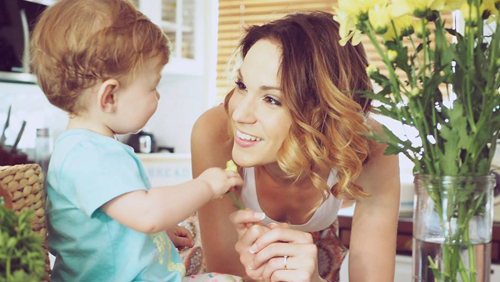 Upon returning to Sydney, Emma was offered to teach a prenatal yoga class and within a month she was pregnant with her first child. She has maintained her practice of Yoga, Meditation and Ayurveda throughout her 2 pregnancies and into motherhood. She has trained in pregnancy and postnatal yoga, iRest Level 1, and has studied Ayurveda at Naturecare College (Sydney), as well as with Ayurvedic Doctors in India. Emma founded a womens studio in Byron Bay, Red Tent Yoga which she ran and taught in for 8 years, and now continues in the form of local classes and online courses. Emma works as a Senior Bliss Baby Yoga teacher trainer in the areas of Prenatal and Postnatal Yoga internationally, and teaches regular Prenatal, Postnatal, Mums n Bubs and Mums n Toddlers yoga classes in Byron Bay. Choose from four purchase options—stand-alone or bundled with the Prenatal & Postnatal Yoga Teacher Training Course, the Yoga for Fertility Course, or the Prenatal & Postnatal Course + Anatomy & Physiology Extension Module. Scroll below for more info.